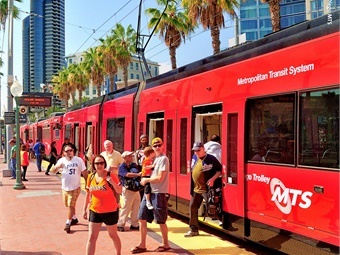 San Diego's Metropolitan Transit System (MTS) has chosen INIT Innovations in Transportation Inc. for the delivery of an account-based, open architecture electronic fare system. 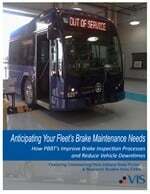 Real-time fare purchasing and loading. Whether through website or on their mobile app, value can be added to their accounts in real-time. Best price calculations. Riders just pay as they ride, and the best-possible fare will be deducted from their account. There will be no need to figure out the appropriate fare or buy day passes or monthly passes. A website and mobile app for account management. Value can be added to the account easily through the web portal. Smartphones can be used for all transactions, from adding value to the account to tapping the phone on validators to ride. Vastly expanded retail network. Hundreds of retail outlets will be able to sell transit cards where riders can also use cash to add value to their accounts. INIT will also provide more than 100 cash and about 70 cashless ticket vending machines to facilitate the convenient purchase of tickets and fare media. Ticket office terminals and mobile sales units will be included in the project to allow MTS to sell fares during large events. The core intelligence of MTS’ next generation fare system will be INIT’s back-office processing and revenue management solution, MOBILEvario. MOBILEvario utilizes an open architecture design to integrate with various third-party vendors for a fully unified system. Due to MOBILEvario’s multi-client capability, MTS will have the ability for a region-wide, interoperable fare structure.